At completion, Falcon One, the 38-storey north tower, will be 104th Street’s tallest and most elegant high rise residential tower to date. 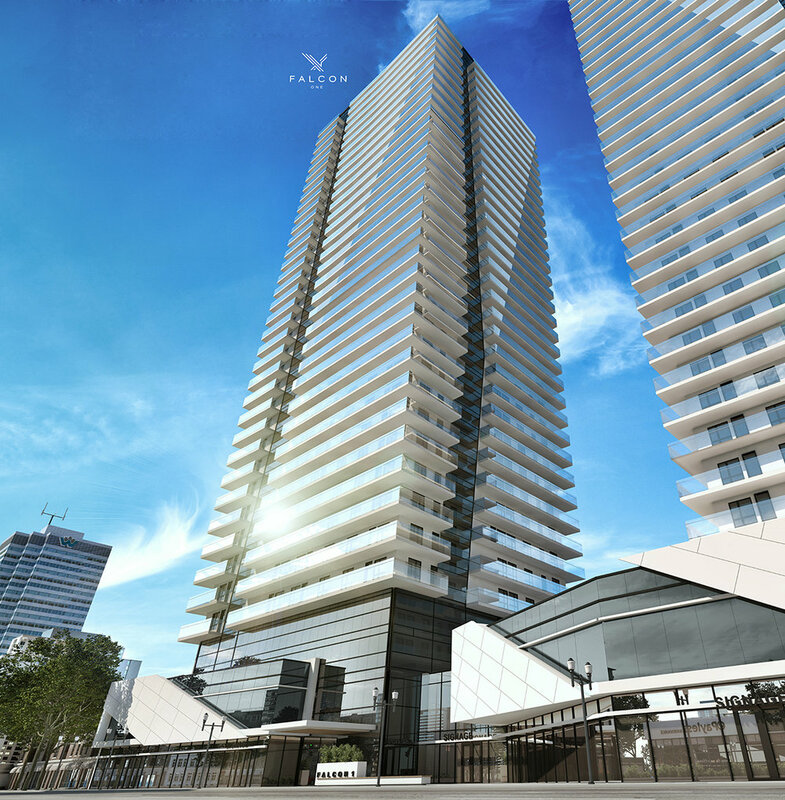 All 296 suites in this unparalleled building have an exterior balcony which collectively fit together to give Falcon One its signature vertical element. The distinctive vertical channels ascend an impressive 38 stories, creating sophisticated modern lines from the glass podium to the two level penthouse suites above. Langham Developments has set out to create a modern masterpiece on 104th street, with all 4 sides of the building meticulously shaped to stand out boldly in the skyline. 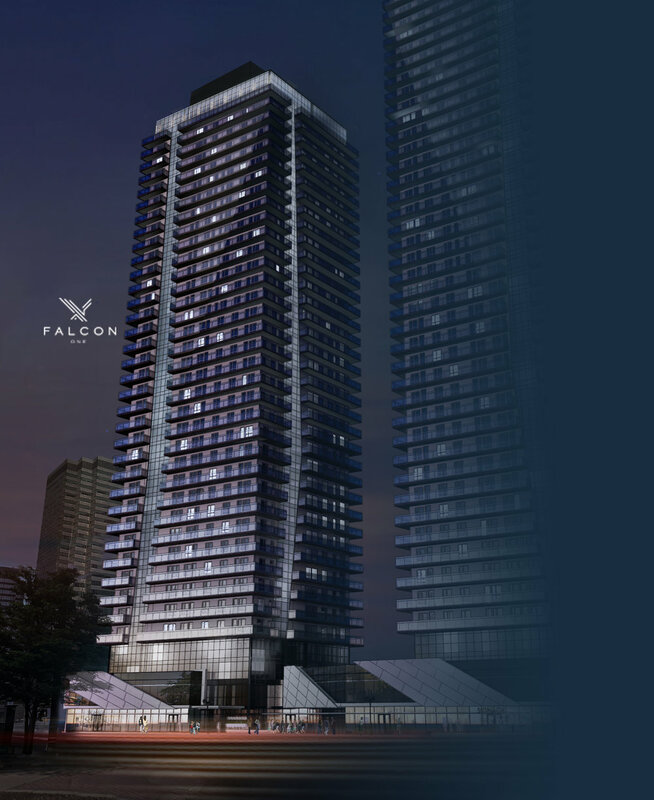 Falcon One will be the first high rise residential tower to connect the 104th Street Promenade to the river valley. Facing NE from 104th St. Facing E from 104th St. Facing NW from 100th Ave.